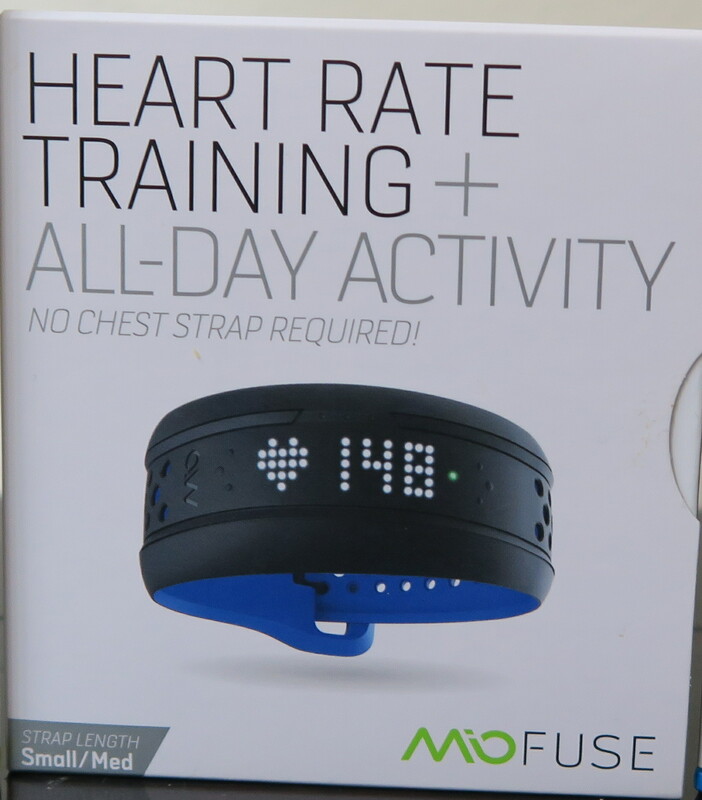 In August (yes, I know, this blog post should have been written in September but life has a way of well, getting in the way) I tested the Mio Fuse fitness tracker for the month. I wore it everyday and only took it off to charge it and shower. Basically the same way that I wore my Nike FuelBand for 15 months straight, until it died in March 2015. First let me say something about my Fuelband: I loved it. It was simple to use: just a pedometer, a calorimeter, and told you when you hit your goals. The icing on the cake was that it looked like a bracelet (mine was rose gold) so no one realized that I was wearing fitness tracker. It synced easily to the app and my account. All pluses in my book. So when I test fitness trackers, my benchmark is this and I ask: Will this replace my Fuelband? The Mio Fuse has more bells and whistles than the FuelBand. And because of that, it’s big. It is a heart rate monitor, a pedometer, and activity tracker all in one. And on my walks — either workouts or just walking to and from my son’s camp — it was really interesting to see my heart rate. Inclines, temperature, even hydration changed my heart rate. This to me was the most interesting part of wearing the Mio Fuse for the month. Mio is known for their heart rate monitor technology and this is their strong suit. This is Fuse’s strongest feature. It allows you to know via color what heart rate zone you are working in and, at the end of each workout, the app, Mio Go, tells you how much time you spent in each zone. (As you can see below. My apologies for my Moto’s insistence on including its volume on my screenshots.) All of which is great if I only wanted to know my heart rate during workouts. I was hoping for an overview of the entire day because of my heart surgery, but was unable to do so. The other thing about the band is that the buttons activating the display are sensitive. When I was putting my son to sleep I found that it would go on at the worst times and be a shining beckon of interest and bedtime procrastination. Or, it would start a workout when I didn’t want to because my wrist was straight and I bumped it into something. As for the display, it is large and easy to read. Flipping through the information is quick. However, during a run it only displayed the heart rate and time, but not the distance, which was a bummer. So if you don’t have your phone with you, you won’t have a GPS record or know how far you have gone until the very end of your workout when it summarizes everything for you. (See above screenshots.) It will function without your phone, so you can enjoy a phone-free workout, which is nice. At the end of the day I want to know, how many steps I took, and how many calories I may have burned. And the Mio Fuse delivers on this. As for battery life, my Fuse lasted six to seven days easily, even with the twice a day workouts in August. Another plus. The real question is: Will it replace my Fuelband? Unfortunately, the Mio Fuse won’t. As an everyday, all day fitness tracker, it is too bulky for me. This is something that I can’t get over. For gym workouts, it is a great tool because the heart rate monitor is invaluable, but this will be the only time that I use it. Previous Can Social Media Improve Our Empathy?